Create the hydro-mechanical wristwatch of your dreams with a custom HYT. HYT Bespoke is all about customised, or custom-made, HYT wristwatches that are limited only by the client’s imagination or wallet. A watchmaker that specialises timepieces that indicate the time via liquids in tiny glass vials, HYT is novel even amongst its peers in the world of avant-garde mechanical wristwatches. 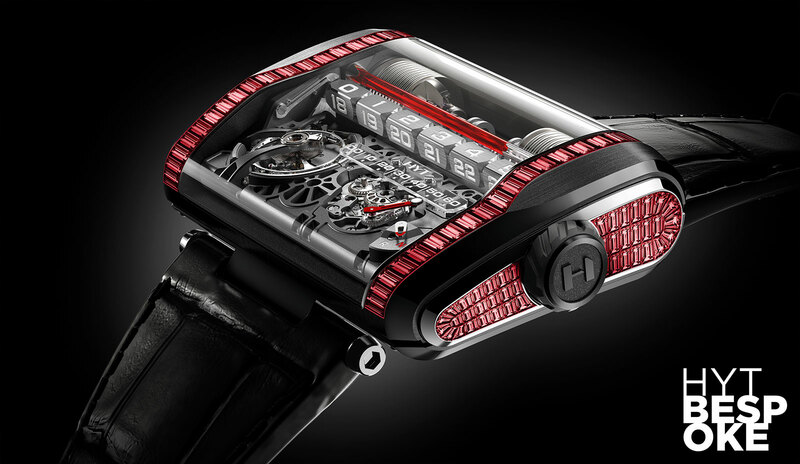 HYT Bespoke allows clients to indulge their horological fantasies. The programme, as with many things, offers two levels of customisation. Bespoke One is the spare-n0-expense option where HYT will do whatever the client wants, from reshaping movement components to building an entirely new movement. It could be as drastic as an entirely new timepiece built from the ground up. Bespoke Two, on the other hand, is essentially about modifying existing models, changing colours, coatings, materials and engravings. This also encompasses the setting of precious stones on the case and movement, as the H3 above illustrates. This is akin to a suit based on an existing template, with minor tweaks for fit and style. 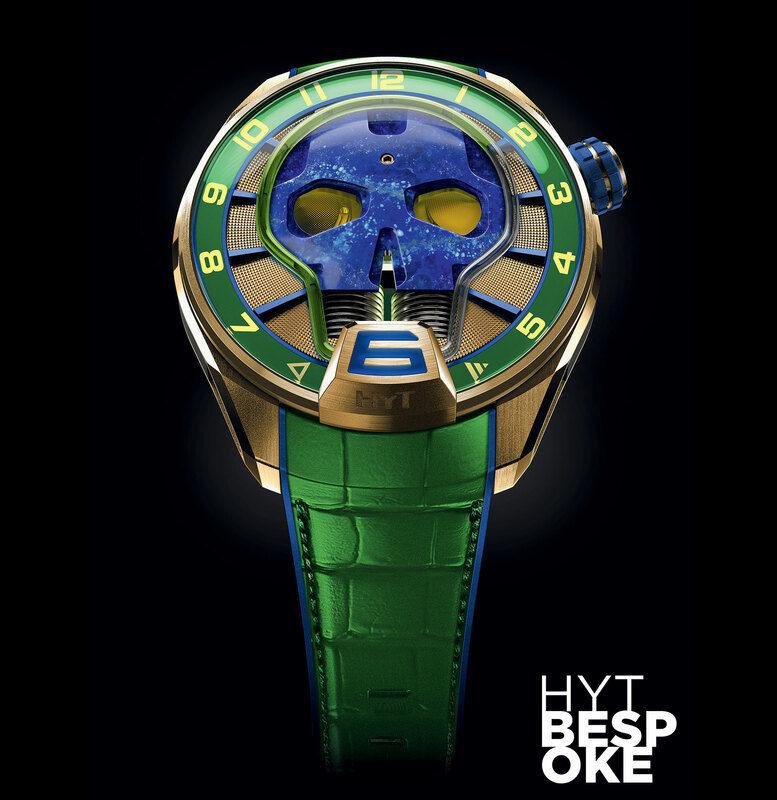 The HYT Skull Brazil pictured above is an example of a Bespoke Two product, being the existing Skull watch given a yellow and green makeover.